Happy Friday everyone! Today is a surprise give-away day! 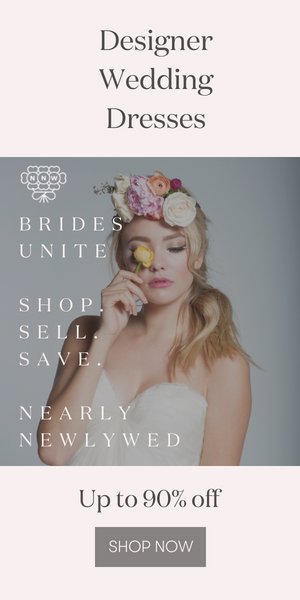 The lovely ladies at Southern Weddings magazine are generously contributing to the wedding planning excitement of three lucky Junebug readers by giving away free copies of their all new issue. Thanks Southern Weddings gals! To win your very own, simply leave us a comment describing what you’re most looking forward to on your wedding day, and we’ll chose three winners on Wednesday, November 18th. Have fun, we can’t wait to hear about your weddings! And stay tuned for an amazing Real Wedding from Mindy Weiss coming up later today! It’s bea-u-ti-ful! of course finally getting married to my love while surrounded by our family and friends is the meaning of the day. the anticipation of that is so great. i think finally seeing all the details and hard work come together will be fantastic as well! thanks for the opportunity! i’m most looking forward to finally standing in front of my guy & knowing we are starting the next phase of our life. i want to make sure we take a few moments of alone time throughout the day just to relax and remember why we’re doing what we’re doing! I’m looking forward to all of my dear friends and family being together in one place, and to celebrating with them! sounds good to meee! honestly, even though i LOVE LOVE LOVE so much about weddings… i’m just excited to be married :) 1 day vs a lifetime! besides marrying my best friend. I can’t wait to to look out in the crowd and see all of the most important people in my life who have shaped our lives. Of course I’m looking forward to marrying my best friend and partner in crime. But I’m also looking forward to sharing our marriage with all of our family and friends. I’m hoping they will truly be able to experience who we are as a couple through all the details (big and small) of our wedding. I am most looking forward to the moment that we leave the reception. Then we will be able to revel in our newly married status and still be glowing from the hours spent celebrating with all of those that we love. I am most looking forward to spending time with family and friends but also those alone moments with my new husband to really enjoy the moment! I’m looking forward to finally being married (and oh yeah, the FOOD!)! I can’t wait to have breakfast on my wedding day with my whole bridal party and my handsome groom. We’re choosing not to go the traditional route and skip seeing each other until the ceremony. Instead, we want to spend the whole day together, surrounded by our closest friends… beginning with breakfast at our favorite DC restaurant! I’m excited to see everyone I love and care about in the same place! It’s a once in a lifetime opportunity to be surrounded by all of our family and friends at the same time. I hope I can find SW in Chicago! i’m most looking forward to marrying my future husband and spending time with our closest family and friends! I am looking forward to seeing everything come together! We are doing everything ourselves! And I mean everything! I am just so excited to see it all finished! And of course walking down the isle and seeing my husband to be looking at just me! Thats going to be great!